The number of suicidal threats is far greater than the number of suicidal acts and most such threats are not followed by an actual suicide. But attempted or completed suicides are often preceded by one or more suicidal threats, so each threat has to be taken seriously. Research indicates that up to 80% of suicidal people signal their intentions to others, in the hope that the signal will be recognized as a cry for help. These signals often include making a joke or threat about suicide or making a reference to being dead. If we do take them seriously and ask them if they mean what they are saying, the worst that can happen is we will learn that they really were joking. Not asking could result in a far worse outcome. Well-meaning friends, family members, first responders, and even some clinicians may avoid asking a subject about suicidal ideation for fear of “putting ideas in her head”. In fact, just the opposite is usually true. There is no research evidence that indicates talking to people about suicide, in the context of care, respect, and prevention increases their risk of suicidal ideation or suicidal behaviors. Research does indicate that talking openly and responsibly about suicide lets a potentially suicidal person know they do not have to be alone, that there are people who want to listen and who want to help. Most people are relieved to finally be able to talk honestly about their feelings, and this alone can reduce the risk of an attempt. Sometimes it is and sometimes it isn’t. It is difficult for most people to relate to the excruciating mental pain that would drive a person to end his or her life, especially if, to our eyes, the situation “isn’t all that bad,” or the person seems to “have everything to live for.” But a clinically depressed person who is overwhelmed by despair and hopelessness may not possess the rational perspective we might have when confronted with a similar challenge. In the depressed state, negatives are magnified and positives are discounted. Sometimes it is, in which case there is hardly sufficient time to intervene because the person completes the act with little or no warning. A sudden traumatic event may be the ‘trigger’ event that moves a person to end their life, but it is unlikely the only cause. Suicides can appear to happen fast, or “out of nowhere,” when we have not noticed any indications of a person’s suicidality. Although most people (80%) present a range of indicators to the people around them, few of us have been educated to recognize these warning signs and we miss them. It is likely that many suicides could be prevented if we educated ourselves about the immediate, short-term, and long-term indicators of suicidal risk, as well as how to reach out and get effective help for someone who is letting us know they are in serious distress. In most cases, suicide does not just occur in an emotional vacuum but takes place in the context of a history of mood disturbances and erratic behavior. Indeed, a high proportion of suicide attempters have had at least some prior contact with the mental health and/or legal systems. Knowing the subject’s history of mental illness is important mainly for predicting what kind of post-crisis life that person will be going back to, and thereby formulating an intervention strategy that really takes this variable into account. While the presence of an unmanaged mental health issue is strongly associated with suicide, it is important to note that most people assessed with a mental illness are not at risk of suicide and that few suicides are wholly the result of a mental illness. Substance use abuse, including the use of cigarette, alcohol, marijuana, and other illegal drugs, is a type of risky behavior among adolescents and young adults, while suicidal ideation is defined as thoughts of harming or killing oneself (Institute of Medicine, 2002). The most common situations or life events that might cause suicidal thoughts are grief, sexual abuse, financial problems, remorse, rejection, a relationship breakup, and unemployment. Fig. 1.1: A Bar chart showing the relationship between substance abuse and thoughts of suicide (source:Samhsa.gov). Substance use and suicidal ideation often co-exist, with higher rates of suicidal ideation among substance users than nonusers. Abusing drugs, especially depressants such as alcohol or sedatives, can trigger symptoms of depression, increasing the risk of suicide. As the consequences of addiction pile up, from legal problems and damaged relationships to financial ruin and job loss, individuals may lose all hope that things can get better. Substance use may increase the risk of suicide ideation because substance use may induce depressed feelings, decrease abilities of cognitive processing and problem solving, and influence important relationships and school/work performance (Bagge and Sher, 2008). Anyone who experiences low lows (bipolar disorder) and attempts to mitigate those feelings with alcohol and drugs is at an increased risk of suicide attempts. In fact, the Substance Abuse and Mental Health Services Administration (SAMHSA) says that substance abuse is one of the top risk factors for suicide. Secondly, although less considered, suicidal ideation may increase the risk of substance use (Bagge and Sher, 2008). Many people abuse drugs or alcohol in an attempt to relieve the symptoms of depression, anxiety or other mental health conditions. For some, it starts to seem like there are only two paths to relief: abusing substances or death. People with substance use disorders are about six times more likely to commit suicide than the general population (Carolyn C. R., 2014). Under the influence of drugs or alcohol, people may lose inhibitions and take risks they ordinarily would not. Substance abuse not only increases the likelihood that a person will take their own life, but it is also used as a means for committing suicide. Roughly one in three people who die from suicide are under the influence of drugs, typically opiates such as oxycodone or heroin, or alcohol. Poisoning is the third-leading method used in suicide deaths, and drugs make up 75 percent of suicide deaths due to poisoning (Carolyn C. R., 2014). In summary, substance use and suicidal ideation often co-exist, with higher rates of suicidal ideation among substance users than nonusers. This is as a result of the psychological and physical effect caused by depression, anxiety or other mental health conditions on the individual. Because substance abuse so greatly increases the risk of suicide, one of the most critical steps in suicide prevention is overcoming any addictions and getting sober. Substance abuse may be drug abuse or alcohol abuse, and each abuse has an effect on the psychology of an individual. 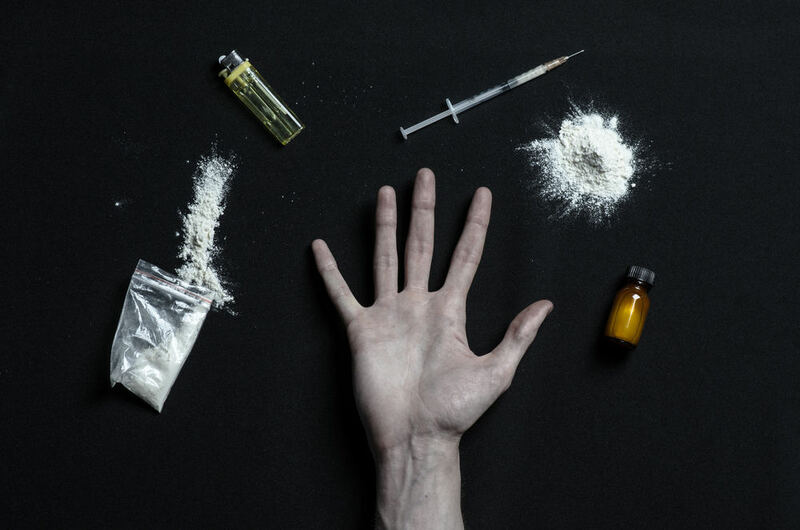 An addict develops short-term judgments, which are most times detrimental to their health. Short term judgment includes suicidal thought and other violent activities, which affects the individual physically and emotionally, as well as affects the people around such an individual. Critical steps in suicide prevention will alleviate the depression and related mental health symptoms of the individual who is experiencing suicidal thoughts, and improve their short-term judgment. It will also allow mental health professionals to more accurately assess and diagnose any underlying mental health concerns so that they can be properly treated. Overcoming substance abuse and tendencies depends solely on the individual, as a firm acclamation by the individual to recover from this menace is the first approach to overcoming substance abuse and tendencies. 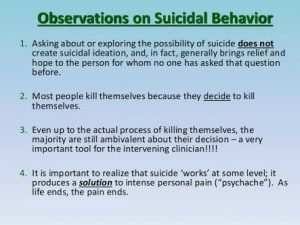 Aside from the proclamation by the individual, psychotherapies, and medications are required to ensure complete healing of the brain and body to avoid suicidal thoughts. Multiple types of psychosocial interventions have been found to be beneficial for individuals who have attempted suicide. One type of psychotherapy is called Cognitive Behavioural Therapy (CBT). CBT can help people learn new ways of dealing with stressful experiences through training. Similarly, Dialectical Behavioural Therapy (DBT), a type of therapy developed to help people with borderline personality disorder, also can reduce suicidality. DBT uses mindfulness and other coping skills to decrease impulsive and destructive urges that can lead to suicide attempts. Some individuals at risk for suicide might benefit from medication. Doctors and patients can work together to find the best medication or medication combination, as well as the right dose. Certain medications have been shown to reduce the risk of suicide. Lithium (Eskalith, Lithobid), a mood-stabilizing medication used for bipolar disorder or major depression, has been shown to decrease suicides associated with depression. Similarly, clozapine (Clozaril, FazaClo), an antipsychotic medication, can reduce the risk of suicide in people with schizophrenia. In conclusion, suicidal thoughts which are mostly generated due to substance abuse can be overcome by self-proclaiming the zeal to undergo recovery process, participating in therapies as well as using appropriate medications. Suicidal ideation can occur when a person feels they are no longer able to cope with an overwhelming situation. This could stem from financial problems, psychological problem, the death of a loved one, a broken relationship, a family history, or a devastating or debilitating illness. Fig. 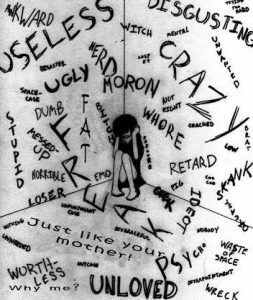 1.1: suicidal thoughts image (source:pininterest.com). In conclusion, the causes of suicidal thoughts can include depression, anxiety, eating disorders such as anorexia, and substance abuse. Genetic factors may increase the risk of suicidal ideation. Individuals with suicidal thoughts tend to have a family history of suicide or suicidal thoughts as well as people with a family history of mental illness. There are various signs and symptoms accompanied by addiction suicidal tendencies. Majorly these signs are enveloped in depression and other mental related disorder, but understanding each sign and symptom will help avoid this tendency. Talking about wanting to die or wanting to kill themselves: Most individuals who have the suicidal tendency frequently discuss the topic of committing suicide to their peers. This is a vital sign if the individual abuses a particular substance. Talking about feeling empty, hopeless, or having no reason to live: addicts with the tendency to commit suicide always relay problems of being empty to their peers. Making a plan or looking for a way to kill themselves, such as searching online, stockpiling pills, or buying a gun: Making a plan to kill oneself when under the influence of a particular substance is a tendency for addiction suicide in a long run. Talking about great guilt or shame: Addiction suicide occurs as a result of self-guilt by the individual. Talking about feeling trapped or feeling that there are no solutions: One of the signs of addiction suicide is the feeling of being helpless by these addicts. Feeling unbearable pain (emotional pain or physical pain): Also pain influences the tendency for addiction to suicide, as it is seen as a means to end all pains. Talking about being a burden to others: Due to the empty lifestyles of these addicts, they are forced to rely on other individuals for support, which is a long run, forces them to feel they have become a burden to the individual, and search solutions to their misery. Putting affairs in order, making a will. 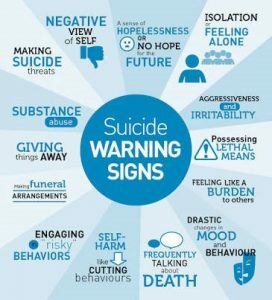 These signs and symptoms show an individual’s tendency to committing suicide, and immediate intervention should be recommended to safeguard the life of the individual.